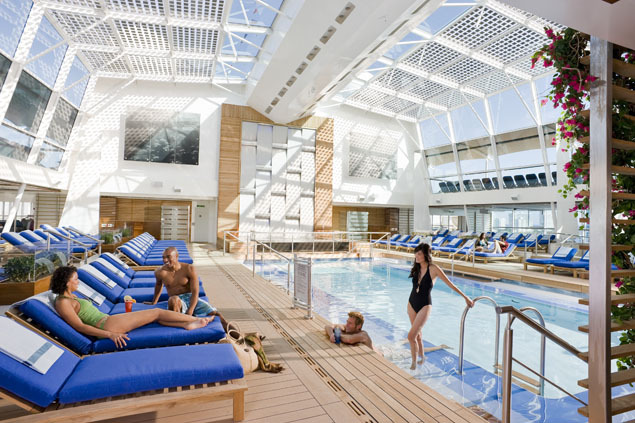 Celebrity Solstice has the attentive service that you expect from Celebrity cruises, as well as large windows for natural lighting, expansive decks and much more. This elegant ship is stylish and comfortable - you will not want for anything while you are onboard, either. The food is delicious, and the experience is... well... unforgettable. Come on board and get ready for the trip of a lifetime. 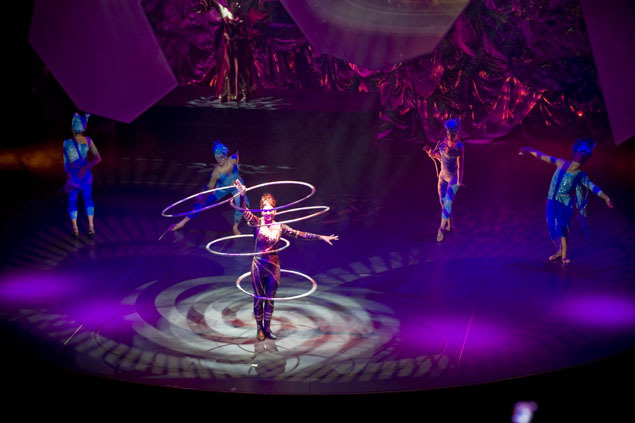 On Celebrity Solstice, expect the unexpected - and get ready to have a great time. The ship has its own Lawn Club, with freshly manicured grass lawns located on the highest deck of the ship. All outdoors, all your favorite lawn activities, and great company - all the time. Feel the grass between your toes and you will know - it feels like home. 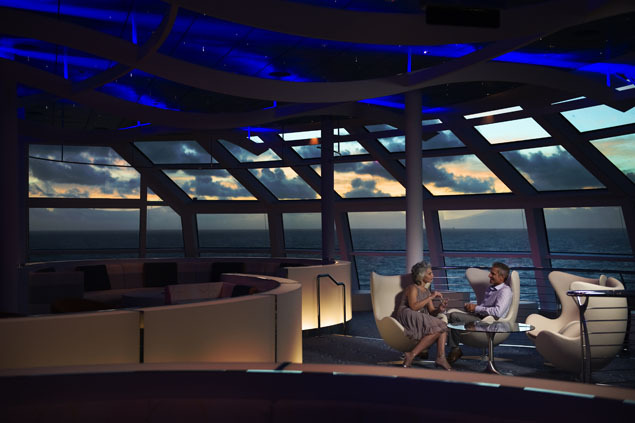 Sky Observation Lounge offers a birds’ eye view of the ship and your glorious ocean surroundings. The floor-to-ceiling windows here will make any sunset a remarkable experience. Relax poolside, or treat yourself to a day at the AquaSpa - it is up to you. Do not forget the kids programs, with activities appropriate for all ages - even teenagers. Get ready for an amazing culinary experience. The regular dining options on Celebrity Solstice include all of your favorite foods - and everything is the way you like it, in a relaxed and luxurious setting. 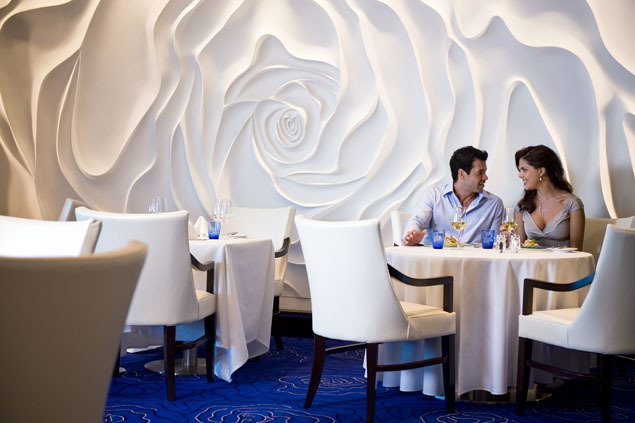 Head over to the Murano Restaurant and indulge in a multi-course meal with wine to accompany it. The Tuscan Grille is a steakhouse show casing premium steaks. Are your tastes more exotic? Head over to the Silk Harvest Restaurant, which features Asian cuisines - Japanese, Indian, Thai, Vietnamese and Chinese food just to name a few - and all is served family-style. 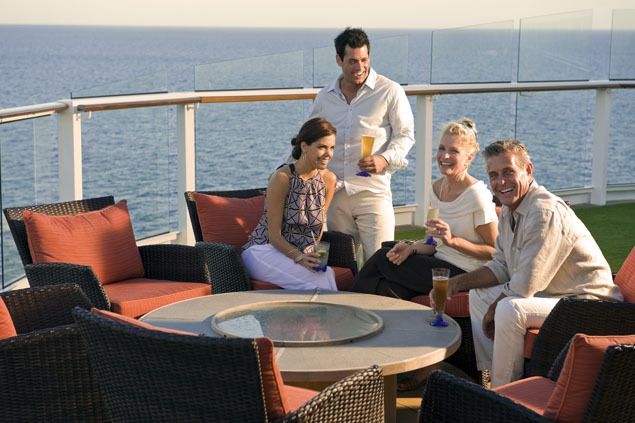 For the AquaClass guests, you can sample healthy fare in the exclusive Blu Restaurant on the spa deck. Celebrity Solstice is full of amazing surprises - and the day does not end when the sun goes down. The night begins. Head over to Celebrity Central, where you can catch a movie, a comedy show, or even a live Broadway-esque performance. Cellar Masters is a relaxed atmosphere where you can enjoy great company, sample great wines - and learn about their origins too. Do not forget, the ship also has a lively nightclub. 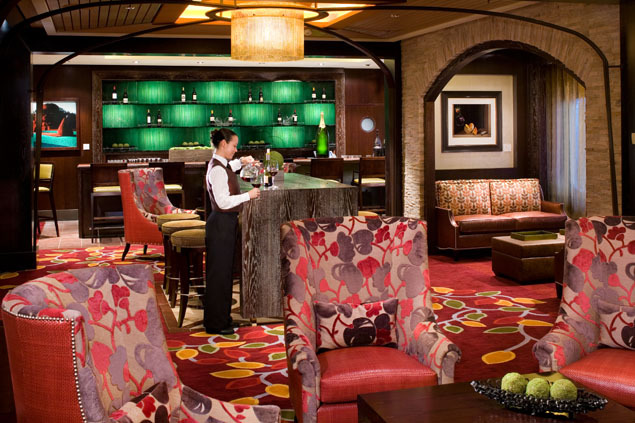 Go dance as the DJ plays your favorite songs, or relax at one of the ship's bars or lounges. If you are feeling lucky, check out the casino and play your favorite card games and slots.